hd00:30A lone Canada Goose honks a warning. When it calls ripples expand out on the calm water of its pond. 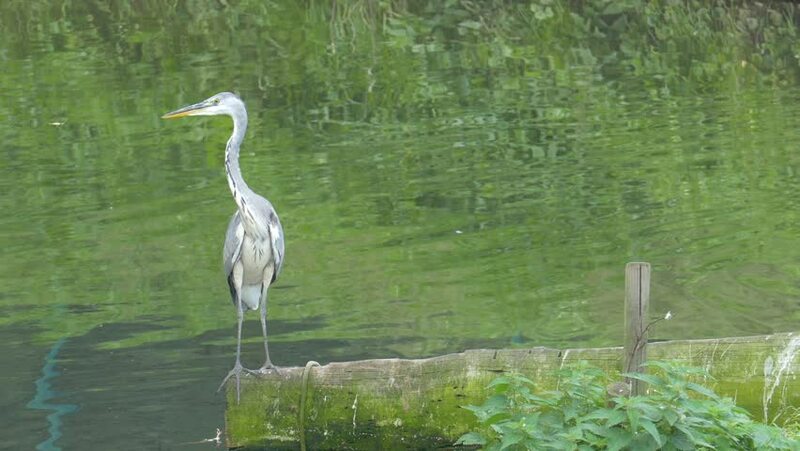 hd00:21The great blue heron in the pond. Ardea herodias. Green Background Of Nature In The City. hd00:34STEADY: White seagull standing on a sea rock, in background of quiet sea waves. Seagull looks out for a prey.